Alright, I get it… you have like 300 pictures on your camera and you need to upload them to the net asap because all your Facebook friends are clamoring to see how incredibly exciting your life is. If you’re anything like me you have a billion cords to charge cell phones, speakers, iPads, computers, and every other electronic device in you house but can never find the one you need. If you’re not like me then stop reading this article and go back to alphabetizing your collection of things that need alphabetized. 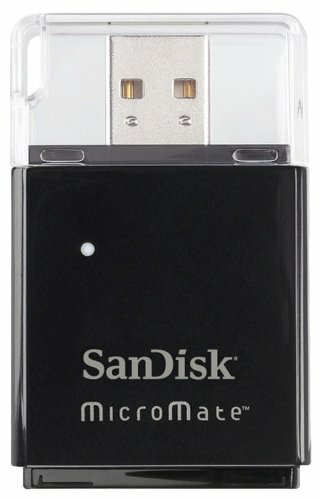 For the rest of the world, SanDisk has a very inexpensive answer to your needs. For just shy of $10 you can have yourself a quick and easy way to transfer anything from your SD card to your computer via USB. Just plug the SD card in the bottom of this adapter and then connect the adapter to your computer. Done! USB 2.0 specifications for up to a 32GB card. Head over to Amazon and check it out.